American Idol results: Was Uche or Dimitrius Graham eliminated? Check out our take on tonight’s American Idol results, as we saw both Uche and Dimitrius Graham leave the show. Check out our American Idol review, as Jeremiah Lloyd Harmon, Laine Hardy, and more perform Disney songs. Check out some American Idol spoilers for Alejandro Aranda, Lacy Kaye Booth, and more entering Disney Week. Check our full American Idol rankings for the top 10, including Alejandro Aranda and Jeremiah Lloyd Harmon! 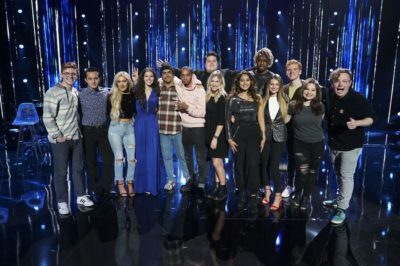 American Idol results: Were Ashley Hess, Uche, Eddie Island eliminated? 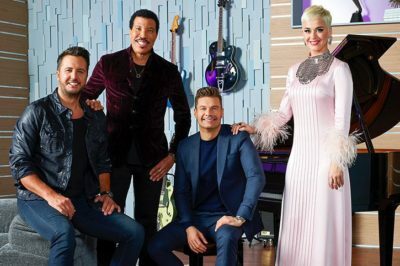 Tonight marks the official unveiling of the American Idol top 10, but beyond that, almost the harshest elimination of the season. As we approach tonight’s American Idol results show, who should we feel good about? Beyond that, who is almost certainly in danger? Want to see what the American Idol top 14 are performing on Sunday night? Within this article, we’ve got some of that scoop. Following tonight’s American Idol performances, we had the last bit of pivotal results before the top 14. Three more contestants were sent packing. Welcome to American Idol … albeit a really unusual American Idol. For the first time ever, Ryan Seacrest isn’t there to host! Tonight on American Idol 17, duet night is here! We’ve got great stars tonight including Jason Mraz, Brett Young, Shaggy, and many others.